At Tropical Pools and Pavers, we pride ourselves in offering ONLY the best equipment available in the market today. That is the sole reason we install Jandy® by Zodiac®. 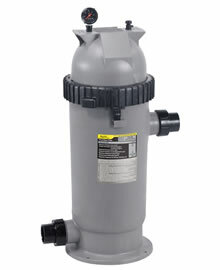 Jandy’s pool filters are energy-efficient and long-lasting. 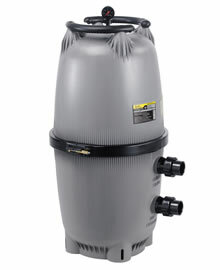 They deliver the water quality you desire as well as unique features for effortless maintenance. 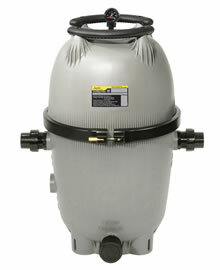 CV Series Cartridge filters set the benchmark for large cartridge filtration. Our filter design takes advantage of the filter’s total surface area, providing you with the clearest possible water and extended cleaning cycles. Enjoy the clear sparkling water of your pool and spa while the CV filter is working for you. 340, 460, and 580 square foot models available. Zodiac CL Series Cartridge filters set the benchmark for large cartridge filtration. Our filter design takes advantage of the filter’s total surface area, providing you with the clearest possible water and extended cleaning cycles. 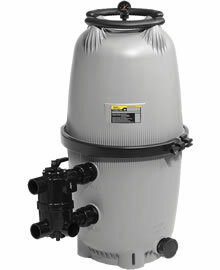 Enjoy the clear sparkling water of your pool and spa while the CL filter is working for you. This filter is equipped for high flow rates and optimum hydraulic performance. CL large cartridge filters are constructed of durable, corrosion resistant, heavy duty high-tech polymeric materials for long-lasting performance. 2″ x 2.5″ universal unions and easy-grip handles on the tank lid make filter installation and cleaning easy. We offer a choice of 340, 460, and 580 square foot models.